incision, either a transventricular or a supracerebellar approach. cavernous sinus tumors via a nostril without a skin incision. Minimally Invasive Transcranial Skull Base Surgery: via a small incision. Endoscopic Brain and Cranial Surgery: Arachnoid cysts, Colloid cysts, hydrocephalus, etc. 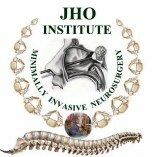 Microvascular Decompression Surgery : for trigeminal neuralgia, hemifacial spasm, glossopharyngeal neuralgia, vertigo, tinnitus, spasmodic torticollis, etc.